Evaporators - a wide variety of applications in air, electric and hot gas defrost. 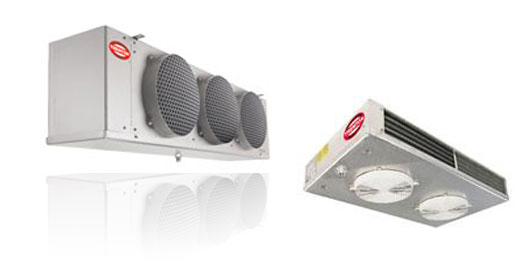 Condensing Units - air, water and remote cooled to meet a variety of requirements. Condensers - indoor and outdoor customizable from a long list of control options. Fluid Coolers - process fluid cooling and numerous industrial applications. Coils - commercial and industrial refrigeration applications. Air Handlers - refrigeration and HVAC applications. Heat Reclaim - capture waste heat to reduce costs. Offering a variety of options for Commercial & Industrial Refrigeration.